Scared Stitchless: Fabric Shopping anyone? Live in Sydney? Want to come pat some silks and laces and all fabrics fancy? Then read on! I've reached a point with my muslin for my wedding dress that I need to start looking at fabrics to bring all my ideas together. Since I've never worked with such high end fabrics before I'd love to go to a bunch of fabric stores and get a feel for some fancy fabrics and how they will drape to help this whole process along. So I propose a fabric shopping trip in Sydney on Saturday 30th November. Since I live in the Blue Mountains and don't drive (I have my L's and two whole lessons under my belt but that's a whole other conversation), I'll be getting an all day train pass so I can make a day of it. After googling bridal and high end fabric stores in Sydney's CBD I've come up with the following results. And of course I want to go to ALL of them! Meet out the front of Tessuti at 10am - or you can meet me at Central and walk together - this timing can be worked out in an email once I know you're coming. Lunch - Anyone have any recommendations around Surry Hills area before heading back to Central? Or shall we choose once we're there? Now I realise that some people have an aversion to Public Transport. That's cool. You can come to as many or as little of these places as you like. You can catch the train within the city with me or drive and meet me at each place. Or you can just join me for the regular fabric haunts of Tessuti and The Fabric Store, join me for lunch and be merrily on your way with your pile of fabric. The ones after lunch will require changing lines and things which could involve a bit of waiting (plus walking). And let me know if I've missed any important fabric stores off this list! I will also be making a trip to Cabramatta to check out their bridal fabric but that's for another day. Let me know if you're interested in coming along to that one and I'll post details for it. Maybe you need some fabrics for your summer sewing plans? Maybe you just want to come pat some expensive fabric? Maybe you want to live vicariously through me as I make my wedding dress? Whatever the case may be I'd love to have you along to pick your brain, talk about construction, sewing and fabric in general! You don't need a blog to come along to this so you can pass it on or bring someone along who may enjoy it. If you're interested leave me a comment or send me an email at jodes182[at]hotmail.com and let me know you're coming. There's no final RSVP date, you can even rock up on the day and surprise me but if you email we can swap numbers in case of public transport woes. Hope to see you there Sydney peeps! This sounds like a lovely idea, unfortunately I won't be able to make it. Looking forward to hearing about how you progress though! A fellow Blue Mountains dweller!! How on Earth have I not stumbled on your blog? I'll be checking it out when I'm back at my laptop. 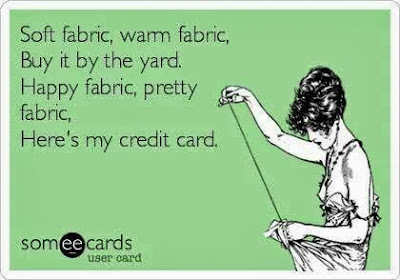 Maybe we'll meet at another fabric shopping trip - sorry it is a little last minute! Aww, maybe next time (when there's more notice given!). I'll look them up online. I'm still not certain on what exactly I want so any (online) shopping will help at this stage. 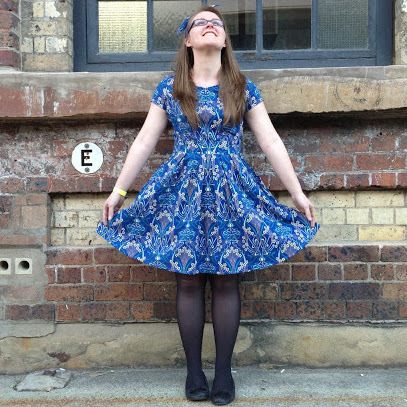 Going sewing is a fabulous excuse for not being able to go fabric shopping so you're excused! Thanks for the recommendations of cafes! I should have known you'd have some tips up your sleeve being a foodie and all. Maybe we'll meet up another time. I can't join you either, but wanted to say that I bought my bridal Chantilly lace from Saigon fabrics 9 years ago. I have also seen some nice Chantilly in My Hung. Good luck and I'm so pleased you blogged. I have been worried that you absence means you were impacted by the fires in a bad way. No worries, it's all pretty last minute! Thanks for letting me know about buying your fabric there. I wondered what they'd all be like but if you found something there that gives me hope! Things got really scary during that bushfire and 3 days out of that week we had embers raining down on our property. I took time off work to defend the house and evacuate pets if needed. Luckily it was a whole lot of media hype that didn't eventuate. My community is grieving but there is such a wonderful spirit up here at the moment. So glad you and the house are OK. Good luck with the shopping. I'll be looking forward to seeing your progress on the blog. Thanks! I'm ready to be inspired. I would SO love to come but won't be in Sydney. 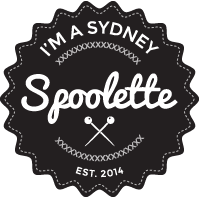 I'm planning a trip to Sydney in January so if you need to do any follow up trips I am there!! Hopefully you're not in Sydney when I'm in Melbourne in January! Give me a shout to let me know when you're coming and we'll peruse some fabric. No luck to join you for the fabric hunt, I will be on crutches after an operation of my left bunion plus 2nd toe. Thanks anyway for the invite and perhaps another time! I also have been thinking of you during the fires in the mountains. So glad that everything is ok! Yes there will always be another time.